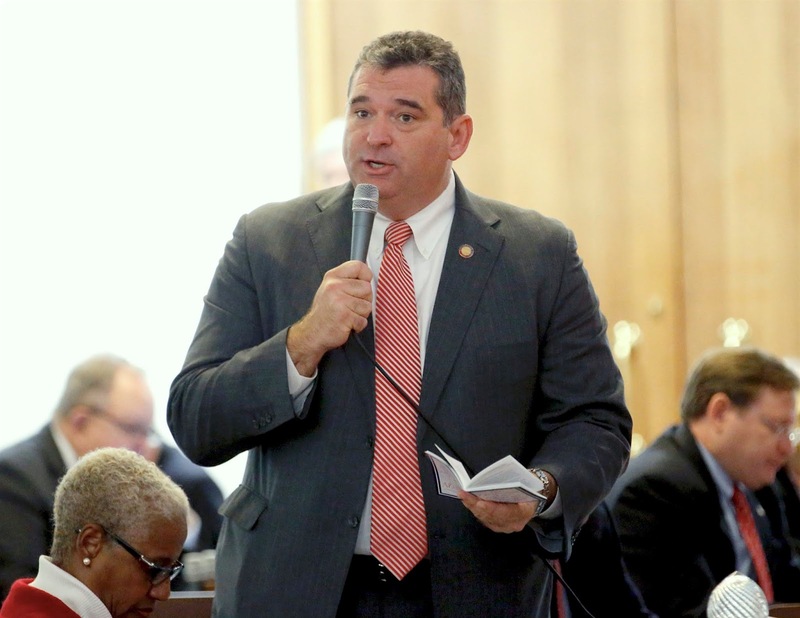 Harnett County Representative David Lewis has been in the NC General Assembly since 2002. He's now the Republican chair of the Rules Committee, and he wields power like a junior dictator. He had an outsized hand in gerrymandering the General Assembly to put Republicans in power for a millennium, and he's the chief architect of photo IDs to keep the wrong people (young people and blacks) from voting. Right now he's hysterical that the Constitutional Amendments Publication Commission might tell the public what's really in the six constitutional amendments that Republicans put on the fall ballot. So Lewis is calling for yet another special session of the General Assembly right now this very minute to grab the power of writing those ballot descriptions for himself and his Republican bunkmates. Because (ahem) he fears the descriptions might be politicized. Republicans like David Lewis know no shame, no limits to their ambitions to rule the world, no humility before the hard eye of history. If you had no other reason to vote against all six of those noxious amendments to our state's constitution, David Lewis just gave you a big one.